A Christmas party isn’t just a jolly! A Christmas party isn’t simply an excuse to let your hair down and get pie-eyed. It’s a great opportunity for management to thank everyone. It’s the ideal time and space for people to get to know colleagues and customers better. It helps morale, and lets people know that they are valued. You’ll be rewarded with extra loyalty and harder working staff in 2018. A Christmas get-together is great for team building. You, your team, and your customers will get to know each other just a little better. Who knew that Jack had a passion for baking, Jill does that stand-up kayaking thing that looks way too strenuous, and three of your customers are members of the same amateur dramatic group? Build rapport, and you build loyalty. The most important occasions are marked by eating together. Birthdays. Weddings. Christenings. Proposals. Family announcements. Christmas lunch with your loved ones around you. Eating together emphasises that you are in it together (whatever ‘it’ happens to be). What better way to bring togetherness to your business? The best bosses want to reward their people for their hard work. A bit of extra cash is great, but sometimes it just isn’t possible to hand out a bonus envelope. 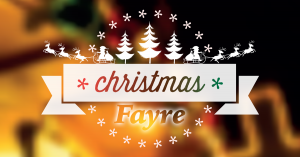 Treating your staff to a Christmas Fayre for either lunch or dinner is a great use of company funds. Make sure all your staff get an award. Take a few minutes to design certificates and print them out, and keep it secret. Insist that every single one is displayed on the office wall for the whole of 2018. A good reminder of a great event, and a constant talking point to engage customers. 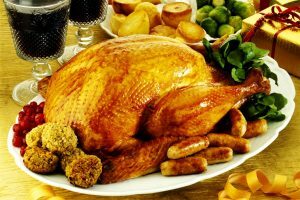 When should you have your company’s Christmas meal – lunch or dinner? A Christmas dinner is always a special occasion, and afterwards your team can go out and enjoy a few drinks or a spot of music and dancing at a different venue. A Thursday or Friday night is perfect for this. On the other hand, it’s often easier for staff and customers to ‘do lunch’. Giving them the afternoon off is an extra reward for your employees, and everyone can decide what to do for the rest of the afternoon/evening. People will get home at a more reasonable time, meaning it’s easier to plan for any day of the week. The following day’s work won’t be disrupted – except by people enthusing about their food and taking pride in their company award. Many companies are so busy that they leave arranging their Christmas bash until the last minute. Then it becomes a rushed affair. Here’s the answer – treat your people to lunch or dinner at Christopher’s. Yes, this year we’ve added lunch hours to our timetable. Greater flexibility for you to reward your people and customers with a spot of fine dining. At €16.95 per person, including a bottle of wine per couple, our Christmas Fayre menu is exceptional value, with starters, main courses, and desserts to suit all tastes. Don’t delay. Take the easy option this Christmas. Let the award-winning staff at Christopher’s help you to reward your staff, and say a big thanks to your customers.